In February Uganda passed the controversial Anti-Homosexuality Act, under which anyone convicted of homosexual acts could face life imprisonment. The Act also criminalises ‘aiding homosexuality’, which opponents fear could include health clinics and counsellors. The Act has motivated the Netherlands, Denmark and Norway to freeze or redirect aid to Uganda, with other countries, including the United States, currently reviewing their own aid to Uganda. With many people on the move, and a lack of clarity around mixed migration and international protection obligations, refugees, asylum seekers and migrants risk detention in many countries in Africa. 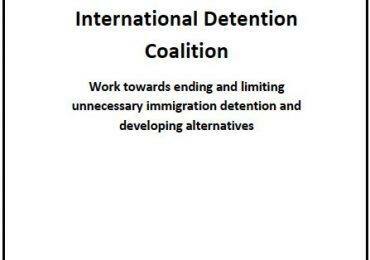 It seems likely that recent events in Uganda will cause an increase in people seeking protection in the region, and thus, a increase in those exposed to the threat of immigration detention. The threat of detention in neighbouring countries and beyond for LGBTI asylum seekers fleeing Uganda is a major concern. 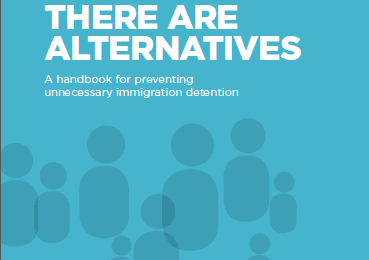 The IDC report ‘There are Alternatives’ notes that LGBTI individuals can be at increased risk in the detention environment, which should be taken seriously when decisions to detain are made, with alternatives to detention explored in the first instance. For those wanting support to take action to protect and work with LGBTI refugees, asylum seekers and migrants, ORAM last year launched a project to address and stop persecution of LGBTI individuals and increase support available, following a study of attitidues towards and the experiences of LGBTI refugees and migrants. You can access the report, along with accompanying educational and awareness raising resources here.